Precision Stainless, Inc. - Precision Stainless Inc.
Our customers know the Precision Stainless difference is in the quality of our materials and our proven, innovative processes. These two components coupled with the experience of our staff allow us to produce, deliver and guarantee stainless steel fittings that meet your specifications and keep your facilities running smoothly. Precision Stainless maintains an inventory of standard fittings to allow faster turnaround and delivery to your facility. 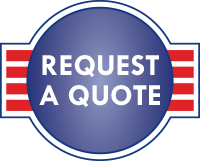 We can also produce custom parts to meet your unique needs. All of our fittings are produced by skilled welders, craftspeople and technicians. Many of our processes are completed by craftspeople whose experience working with stainless steel allows them to create the fittings that meet your strict specifications. Precision Stainless utilizes only USA made stainless steel. We have specialized welding lathes and orbital welding equipment to produce uninterrupted orbital welds. All of our finished parts can be mill finish, fully polished or bead blasted based on your needs. 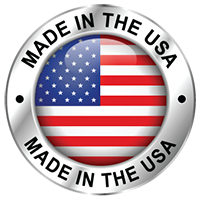 Precision Stainless utilizes USA stainless, produced by USA craftspeople providing our customers with the best stainless steel domestic fittings in the industry. Precision Stainless, where Origin, Quality and Precision take Precedence.